Tava Restaurant & Lounge (TRL) is a premium brand name in F&B industry which was incorporated in the year 1993 and today it has become one of the renowned food companies in Bangladesh. The Company’s strategy is guided by several fundamental principles. The existing products grow thorough innovation and renovation while maintaining a balance in quality and consumer needs. Long term potential is never sacrificed for short term performance. The company’s priority is to bring the best and most relevant products for people, wherever they are whatever their needs, throughout their lives. This brand is an initiative to create new dimension in F&B industry through providing extra ordinary privilege to hygienic food. As a part of this initiative, Tava Restaurant ensures business enrichment through sharing of resources and services. In 1993 Gulshana Ali Managing Director of Tava Restaurant & Lounge (TRL) started her first business with a nominal capital with 250 employees. Gulshana Ali the promoter and Managing Director of Tava Restaurant & Lounge is an innovative and a successful business woman who has assembled a strong management team at Tava on her own initiative this team is lead under her administration with 15 years of experience. The corporate Motto of Tava is “Healthy Food for Better Life” as well as its mission is to meet the market needs and build a competitive position as efficiently and profitably by establishing an unique position in the competitive market of Bangladesh through high quality products of local taste. Tava is specialized in excellent Bengali, Thai Chinese & Continental Food as well facilitates International Cuisine, Contemporary Interior, Formal dining lounge, dining rooms, karaoke rooms, outdoor dining, free WI-FI, secure parking facility, trained waiters, quality foods, 10000sft banquet area fully air-conditioned, catering services & experience event managers. Tava Restaurant produces and markets a good number of renowned consumer goods in Bangladesh. The main strength of the Brand is its quality products, which makes the customer loyal and the company very successful within a very short span of time. Besides quality, the major strength of the company is its distribution network with dealers extending to all corners of Bangladesh covering major cities and important business centers. Through this network it is possible to have easy & quick excess to the vast multitude of customer of consumer goods through the country. Tava is conscious of the fact that the success of an enterprise is a reflection of the professionalism, conduct and the responsible attitude of its management and employees. Tava believes employees are the greatest assets for the company. So its investment through training employee involvement and strategic human resource planning is aimed at preparing employees to meet the challenges of today and tomorrow. Tava follows international standard of Quality Management System to ensure consistent quality of products and services to achieve customer satisfaction. It also meets all national regulatory requirements relating to its current business. The management of Tava commits itself to quality as the prime consideration in all its business decisions. All employees of Tava follows documented procedures to ensue compliance with quality standards. Tava is committed to maintain the harmonious balance of eco-system and therefore constantly seeks ways to manufacture and produce products in an eco friendly manner so that the balance of nature remains undisturbed and environment remains sustainable. Gulshana Ali Managing Director of TAVA Restaurant & Lounge is a potential and successful business women presently she has established more other industries like Khulshi Mart & Arcadia Assets Ltd. under her dynamic leadership based on commercial shopping Mall Super Stores and property Development Company in Chittagong Bangladesh. Gulshana Ali was born in 1955. She completed her B.A. Hons. Graduation from Chittagong University Bangladesh. In personal life she is married and she is the mother of two children. Her husband Mr. Mohammed Ali is an Engineer and renowned well famous business men in Bangladesh. Gulshana Ali, the promoter and Managing Director of Tava Restaurant & Lounge is a dedicated and prominent businesswoman in Chittagong. Tava was the first company established by her tireless efforts and rent less dedication in 1993. Tava provides high quality food conforming to local tastes health and hygienic standards with affordable price within the reach of target consumers. Tava is specialized in excellent Bengali, Thai Chinese & Continental Food. The establishment of Tava are palpable in the corporate world are sheer upshot of the cooperation of the employees of TAVA and its stakeholders. Gulshana Ali is a self made woman. The primary expense to establish Tava Restaurant is the brainchild of Gulshana Ali which gradually came to its present state from the constant monetary investment from her own fund and also grant and loan from her husband. Gulshana Ali has built up her business carrier from the smallest level and has been a renowned business woman presently in Bangladesh. Tava is a well known name in the port city of Chittagong Bangladesh. As the group of well trained staff and chefs has kept the flag flying high throughout the last 19 years. Tava means trust quality value & satisfaction to its consumers and stakeholders. To keep up the connotations of Tava work hard hand in hand to present nothing but the best. Tava is embodied in its business principles which focus on product quality service customer satisfaction and benefit to company business partners stakeholders and to the overall society. Tava is a successful restaurant in the heart of consumers, today. Gulshana Ali is well financed potential sound and solvent, sincere and an active entrepreneur. She is very much influential, promising and capable lady to run her business smoothly she has the capability to communicate among the business community. She maintains a very strong marketing network. She visited various countries home and abroad in business purpose. She bears a good support from her husband in various business trade and activities. She is also dealing with other business like Superstore & Shopping Mall, Property development business in Bangladesh. Presently she is a well known and successful business woman in Chittagong as well member of various organizations in Chittagong Bangladesh. 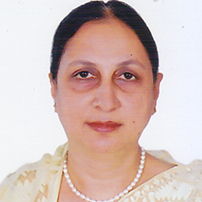 She is the member of The Federation of Bangladesh Chambers of Commerce & Industry(FBCCI) and also the former Vice President and Director of Chittagong Women Chamber of Commerce & Industry. She has visited and participates in many trade fairs conference and business meeting locally and internationally. Recently she has been awarded SME award in Bangladesh by the SME Foundation towards her outstanding contribution in Micro small and Medium Enterprises life time achievement. She completed and also adopted various type of short courses in Business Management, Fashion designing, Catering, Chamber Management Etc. Gulshana Ali is also dedicated with social activities since 1993. She has established education institute like school, Madrasas and she is also involved with several orphanage institutions to support the poor children and helpless girls and women towards marital status in personal life. She believes in mentoring the less privilege women entrepreneurs in her company. Since than she gives all active support and cooperation to the women folks of her country to be self reliant to built up their carrier with their own confident. To fulfill her success and mission in business carrier she has a plan to expand her business arena in the country as well as abroad. Within 5 years she has an ambition to establish more Super Stores and Retail Shops in the country as well as in the global market and expand her industry to create job opportunity for the women entrepreneurs in Bangladesh. This could emphasis to improve her business to the minimum extend of 40%-60% which will support to improve the socio-economic condition.